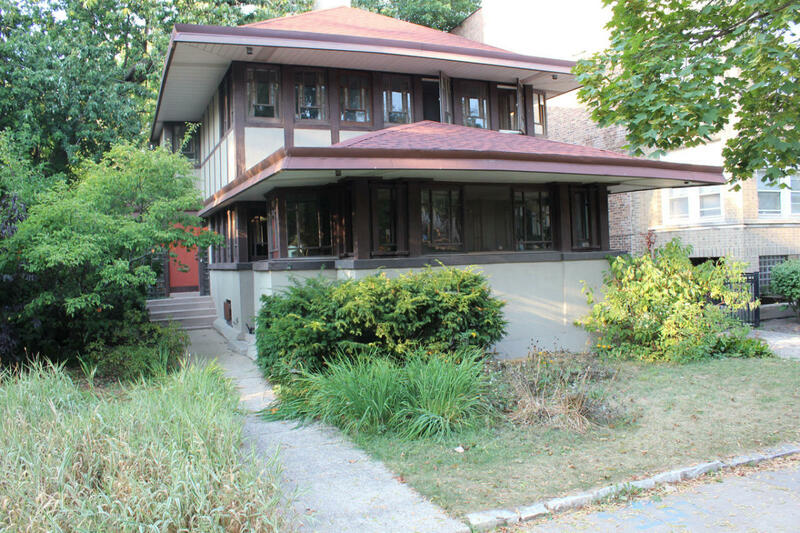 This house was built in 1908 and was designed by Walter Burley Griffen who was employed by Frank Lloyd Wright for four years and therefore many of his homes including this one follow schemes developed by Wright. The first floor living room projects from the main two-story block, creating a tiered effect. One difference between Griffen's homes and other prairie school architects is that Griffen preferred to use thick wood mullions in his windows as is the case here instead of the leaded art glass. PLEASE NOTE: This is a private residence.